1. Assistant Professor, Department of Mathematics, Veer Surendra Sai University of Technology (V.S.S.U.T.) Burla, (June 2014 – till date). 2. Assistant Professor, Department of Mathematics, Institute of Chemical Technology (I.C.T.) Mumbai, (January 2012 – May 2014). 4. Assistant Professor, Department of Mathematics, School of Advanced Science, Vellore Institute of Technology(V.I.T.) University, Vellore, Tamil Nadu, India (August 2009 – April 2011). : Ordinary Differential Eqns, Partial Differential Eqns., Numerical Analysis, Computational and Statistical Methods. 1.Selected for Post-Graduate merit Scholarship, Orissa, 2004. 2.Qualified the Graduate Aptitude Test in Engineering[GATE], 2005. 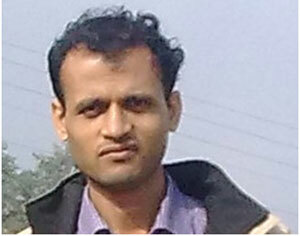 3.Selected for Senior Research Fellowship [SRF] by the Council of Scientific and Industrial Research [CSIR], India, 2007. 4.Selected Research Associate under the NASI Senior Scientist platinum Jubilee Fellowship in the Department of Mathematics, Indian Institute of Science (IISc), Bangalore, India, 2011. 5.Dr. D.S. Kothari Post Doctoral Fellowship by University Grants Commission [UGC], 2012. 1.FAST track research project in Mathematical Sciences, DST/SERB, India for the period of three years. 2. "Seed grant" research project through TEQIP-II, VSSUT, Burla. 1.M. R. Sarangi and S. Mohapatra, “Effect of porous uneven sea-bed on a water wave diffraction problem” Trends in Mathematics, [Accepted]. 2.M. R. Sarangi and S. Mohapatra, “Investigation on the effects of versatile deformating bed on a water wave diffraction problem” Ocean Engineering, 164, 377-387, (2018) [Elsevier Publisher]. 3.S. Mohapatra, “Effects of elastic bed on hydrodynamic forces for a submerged sphere in an ocean of finite depth” ZAMP (Z. Angew. Math. Phys.) 68, 1-16, (2017) [Springer Publication]. 4.S. Mohapatra and S.N. Bora, “Water wave interaction with a sphere in a two-layer fluid flowing through a channel of finite depth”, Archive of Applied Mechanics, 79, 725-740 (2009), DOI 10.1007/s00419-008-0248-z [Springer publication]. 5.S. Mohapatra and S.N. Bora, “Propagation of oblique waves over small bottom undulation in an ice-covered two-layer fluid”, Geophysical and Astrophysical Fluid Dynamics, 103 (5), 347–374 (2009), DOI: 10.1080/03091920903071077 [Taylor &Francis publication]. 6.S. Mohapatra and S.N. Bora, “Scattering of internal waves in a two-layer fluid flowing through a channel with small undulations”, Ocean Dynamics, 59, 615–625 (2009), DOI 10.1007/s10236-009-0214-5 [Springer publication]. 7.S. Mohapatra and S.N. Bora, “Water wave radiation by a submerged sphere in a two-layer fluid of finite depth with an ice-cover”, Journal of Advanced Research in Applied Mathematics, 2 (1), 46–63 (2010), DOI: 10.5373/jaram.241.102009 [Published by Institute of Advanced Scientific Research, Irvine, California]. 8.S. Mohapatra and S.N. Bora, “Reflection and transmission of water waves in a two-layer fluid flowing through a channel with undulating bed”, ZAMM (Zeitschrift fur Angewandte Mathematik und Mechanik), 91 (1), 46 – 56 (2011), DOI 10.1002/zamm.200800216 [A Wiley-VCH publication]. 9.S. Mohapatra and S.N. Bora, “Exciting forces due to a submerged sphere in an ice-covered two-layer fluid of finite depth”, Applied Ocean Research, 34, 187–197 (2012), DOI 10.1016/j.apor.2011.07.008 [Elsevier publication]. 10.S. Mohapatra and S.N. Bora, “Oblique water wave scattering by bottom undulation in a two-layer fluid flowing through a channel”, Journal of Marine Science and Application, 11 (3), 276–285 (2012), DOI: 10.1007/s11804-012-1133-2. [Springer publication]. 11.S. Mohapatra and S.N. Bora, “Oblique wave scattering by an impermeable ocean-bed of variable depth in a two-layer fluid with ice-cover”, ZAMP (Z. Angew. Math. Phys. ), (2012), DOI 10.1007/s00033-012-0210-3. [Springer publication]. 12.A. Chakrabarti and S. Mohapatra, “Algebraic approaches to series expansion methods of functions with application in water wave problems”, Bull. Cal. Math. Soc., 104 (6), 491–508 (2012). 13.A. Chakrabarti and S. Mohapatra, “Scattering of surface water waves involving semi-infinite floating elastic plates on water of finite depth”, Journal of Marine Science and Application, 12, 325–333 (2013), DOI: 10.1007/s11804-013-1204-z. [Springer publication]. 14.S. Mohapatra, “Scattering of surface waves by the edge of a small undulation on a porous bed in an ocean with ice-cover”, Journal of Marine Science and Application, 13, 167–172 (2014), DOI: 10.1007/s11804-014-1241-2. [Springer publication]. 15.S. Mohapatra, “Diffraction of oblique water waves by small uneven channel-bed in a two-layer fluid”, Journal of Marine Science and Application, 13, 255–264 (2014), DOI: 10.1007/s11804-014-1255-9. [Springer publication]. 16.S. Mohapatra, “Scattering of oblique surface waves by the edge of small deformation on a porous ocean bed”, Journal of Marine Science and Application, 14, 156–162 (2015), DOI: 10.1007/s11804-015-1298-6. [Springer publication]. 17.S. Mohapatra, “The interaction of oblique flexural gravity incident waves with a small bottom deformation on a porous ocean –bed: Green’s function approach”, Journal of Marine Science and Application, 15, 112-122 (2016), DOI: 10.1007/s11804-016-1353-y [Springer publication]. 18.S. Mohapatra and M.R. Sarangi, “A note on the solution of water wave scattering problem involving small deformation on a porous channel-bed”, ”, Journal of Marine Science and Application, 16, (2017) [Springer publication]. 19.S. Mohapatra, “The effect of free-surface tension on scattering of water waves by small bottom undulation” ANZIAM Journal (Australian New Zealand Industrial and Applied Mathematics), Publisher: Cambridge University Press (accepted). FAST track research project in Mathematical Sciences, DST/SERB, India for the period of three years.